Adobe Systems Inc. company, commonly known as Adobe, is a U.S based multinational software company. Adobe headquarter is located in San Jose, California, US. While the noise ran for several days, Adobe Systems has formalized the acquisition of Marketo for around $ 4.75 billion on Thursday, September 20. Marketo was founded in 2006 and started as an email marketing service company. It went public in 2011 and was acquired in 2016 by Vista Equity Partners Management for $ 1.8 billion. Marketo is based in San Mateo, California. 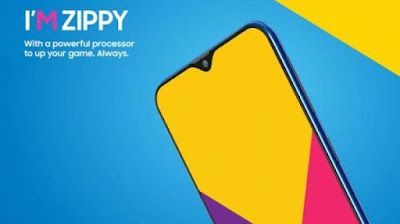 Last year, the company generated revenue of about $ 321 million, according to the rating agency Moody's Investors Service. 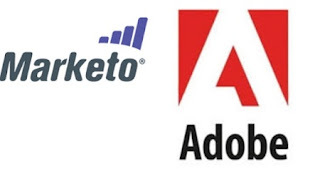 Marketo acquisition will allow the large technology company Adobe, the publisher of the Photoshop maker software, to rejuvenate its software offering and strengthen its transition to the cloud and subscription-based services in the highly competitive market of cloud computing dominated by Microsoft Corp, Oracle, and Salesforce. Marketo's marketing applications will complement Adobe's digital solutions offering to create, manage and analyze advertising and marketing campaigns. With Marketo, Adobe wins a portfolio of 5,000 customers and will strengthen its B2B marketing tools to compete more directly Oracle and Salesforce. The two companies were already partners for years. The Marketo solution will be integrated with Adobe Experience Cloud. 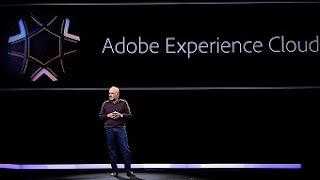 "The acquisition of Marketo expands Adobe's leadership in B2C and B2B customer experience and places Adobe Experience Cloud at the heart of all marketing," said Brad Rencher, executive vice president, and general manager, digital experience at Adobe. The talks on a potential deal to buy Marketo by Adobe were earlier reported by Reuters this month. Adobe shares increase up more than 50% since the beginning of the year, rise 0.5% to $ 266.11 on Thursday. The deal (transaction) is expected to close in the fourth quarter of Adobe's 2018 fiscal year, subject to regulatory approval and other closing conditions. Marketo CEO Steve Lucas will also join the Adobe company as a senior leadership team and continue to lead all the operations of Marketo team, Adobe said.